We got together for a bit of a pre-Christmas tasting. 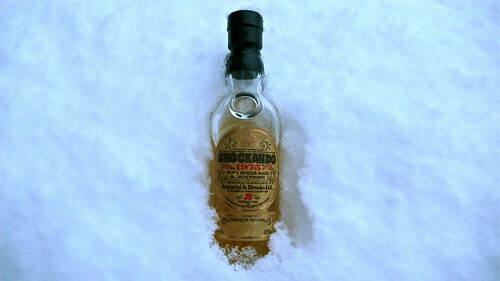 We started proceedings with a miniature bottle of 1975 Knockando (bottled in 1989 – so that makes it a 14 year old). The cork had all but disintegrated, and the level had dropped significantly, so we suspect that some of the alcohol had evaporated from it, leaving it less than its advertised 41% abv – but we thought we’d give it a try anyway.